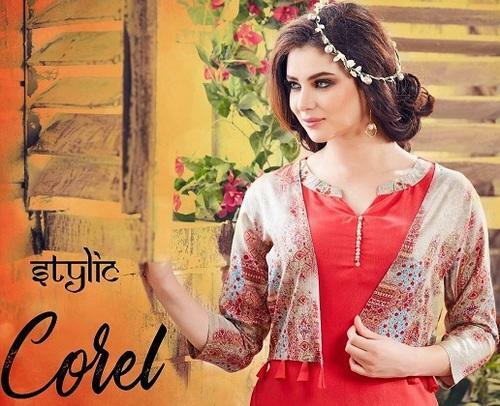 Established as a Sole Proprietorship firm in the year 2017 at Surat (Gujarat, India), we “Om Sai Fashion” are a leading Wholesale Trader and Manufacturer of a wide range of Ladies Kurti, Ladies Saree, Ladies T Shirt, Ladies Gown, Ladies Lehenga, Ladies Salwar Kameez, etc. We procure these apparels from the most trusted and renowned vendors after stringent market analysis. Further, we offer these apparels at reasonable rates and deliver these within the promised time-frame. Under the headship of “Mr. Maheshbhai Chikhaliya” (Proprietor), we have gained a huge clientele across the nation.